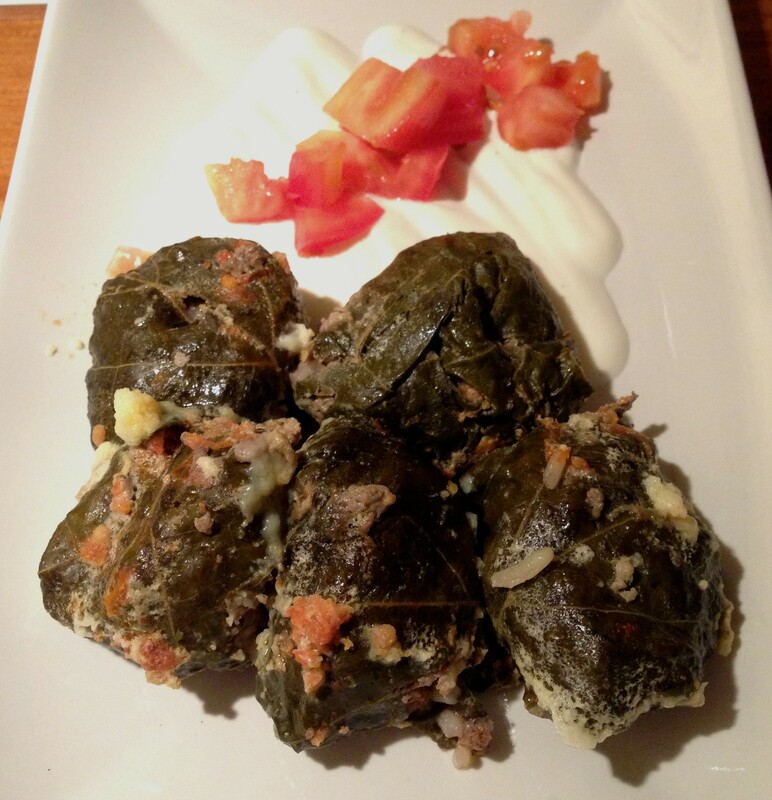 Just the thought of Mama Effie’s Dolmades make my mouth water (I am literally drooling on my keyboard as I type). You really must try them! Just one and you will be hooked. And the only place you can get your hands (or mouth) on one of them is at my personal favourite Greek restaurant, 17 Steps. If your wondering what the heck dolmades are, they are grapevine leaves stuffed with rice and other goodies, and are in high demand at 17 steps. They are all handmade by the restaurant owner’s mother, and If there are any left for you, then you are lucky! 17 Steps is located at Bloor and Runnymede, and as the name suggests you have to walk down a set of stairs to get to the restaurant. Go ahead and count them – there are indeed seventeen. The first time I went, I was shocked at how cozy it was down in the basement. The wood panelled walls are cover with photographs of Greece, and the soft lighting sets a romantic mood. 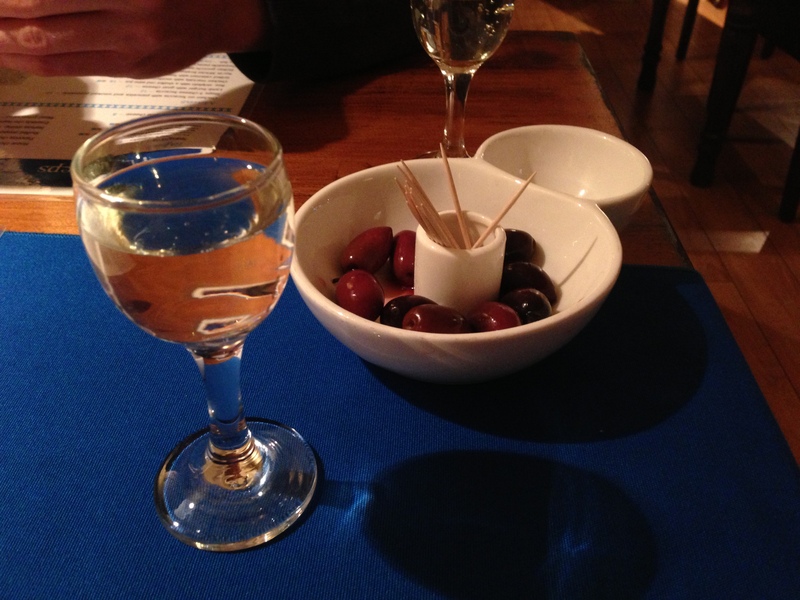 You are always greeted with a smile, complimentary olives and sparkling wine. 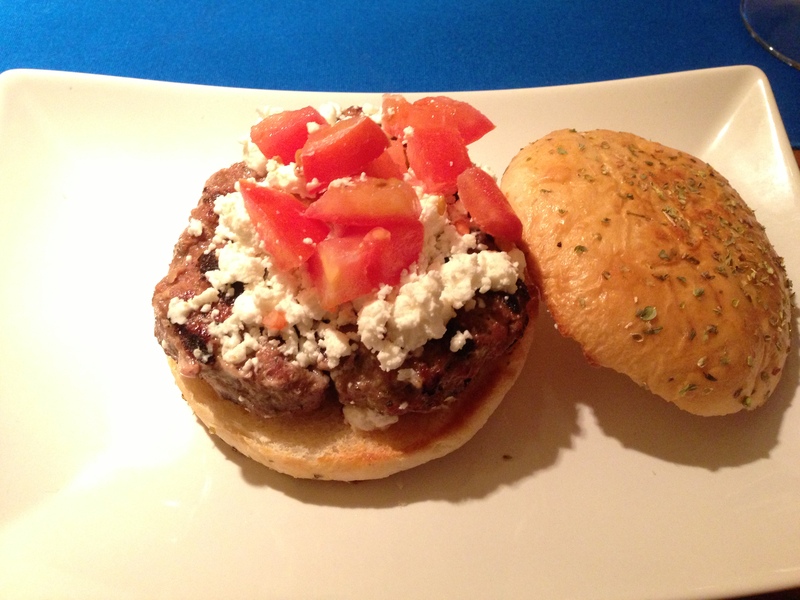 The owner is a friendly and relaxed fellow, who loves to chat about his personal travels, and of course the menu. Needless to say, the service is fantastic! My favourite thing on the menu (other than the Dolmandes) is the Homemade Sicilian Gnocchi- three great big fluffy pieces of gnocchi exploding with flavour. 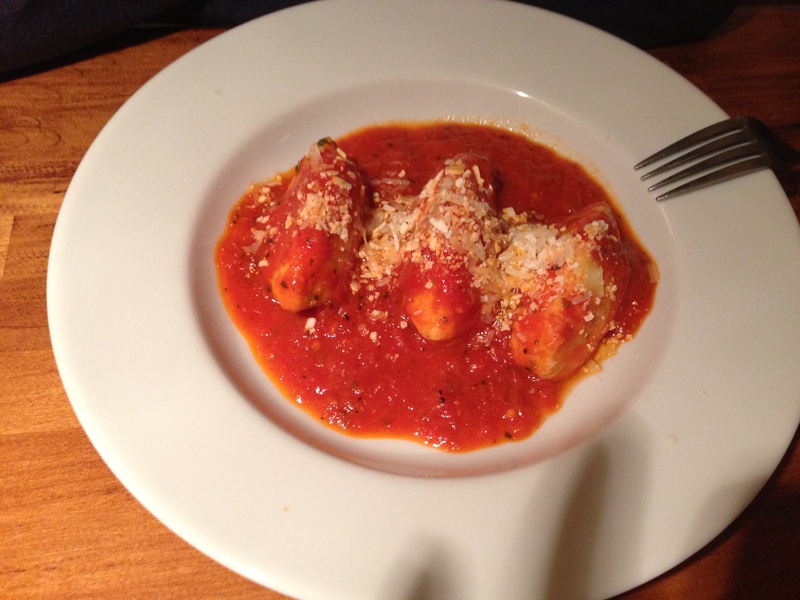 I keep telling my self I need to order something different and to be adventurous, but I seem to end up ordering the Gnocchi every time. 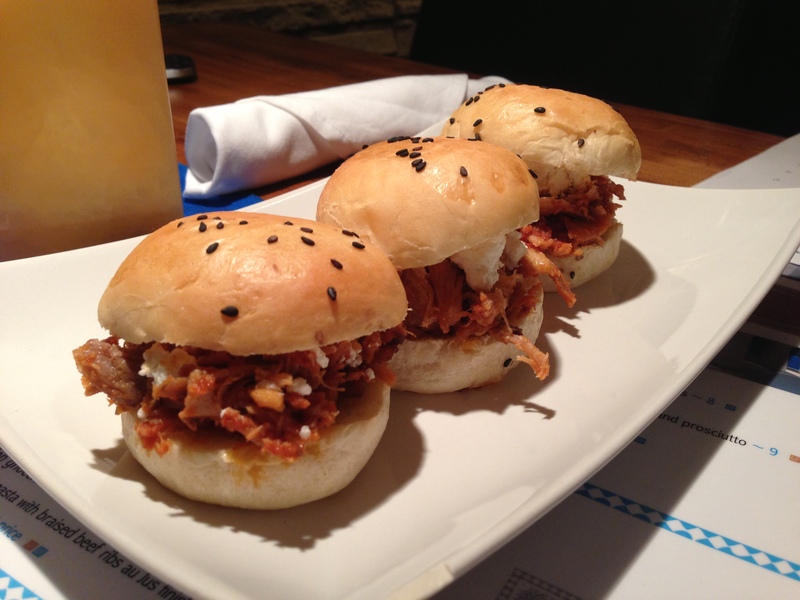 And for those who like to mix things up, the menu is always changing to keep you guessing. The mains are all under $20, and if you pair it with dolmades and a glass of wine, you can have a fantastic meal for about $35 and the value for quality is high. When I’m in the mood for a nice sit down restaurant with good wine, this is the place I think of, and I need to visit every few months to satisfy my craving. Hi Wanda, No I have not been to Tristan’s restaurant. Thanks for the suggestions, I hope to try it out soon 🙂 I love Bloor West Village!